9. What is Turkey’s next move in Syria? 14. Hundreds of Thousands of People are Fleeing to Rojava. 1. Ms. Merkel, Mr. Juncker: Call for freedom of expression in Turkey! #FreeWordsTurkey Petition. The indefinite-irreversible hunger strike of Shengal Diaspora Assembly in Strasbourg continues in its 17th day, and the one launched by 50 Kurdish politicians and activists in Amed has entered its fourth day. Both of the hunger strikes were started with demand of immediate access to Kurdish People’s Leader Abdullah Öcalan from whom no news has been received since April 5. Ankara has dismissed thousands of Kurdish teachers for alleged links to the Kurdish Workers’ Party (PKK). President Recep Tayyip Erdogan has also announced a massive operation to cull the militants. HDP’s lawyer MP Meral Danış Beştaş spoke to ANF regarding the appointment of trustees to Amed’s Sur and Silvan districts. Remarking that municipalities are one of the major areas that reflect the will of people, Beştaş pointed out that the government rejects the people’s will and elections by appointing trustees. She described the appointment of trustees as a practice that totally goes against the principles of democratic state of law. As the tension between Turkish government and Rojava administration continues, Ankara labels YPG ‘terrorist’, while YPG defines itself as the ‘defense force’ of Rojava. YPG (People’s Defense Units) General Command Spokesman Redur Xelil spoke to ANF about the situation on the ground and responded to the claims of the Turkish government. Turkish army forces bombed the Kurdish town of Afrin in Aleppo province in northern Syria with heavy artillery on Thursday, causing casualties among civilians, activists and eyewitnesses reported. The Turkish-backed forces in Syria have recently managed to control Azaz-Jarabulus line as part of the Euphrates Shield operation. According to analysts, Turkey’s next step is to take over al-Bab city, not Manbij–that’s been liberated recently by the Syrian Democratic Forces (SDF) from ISIS. 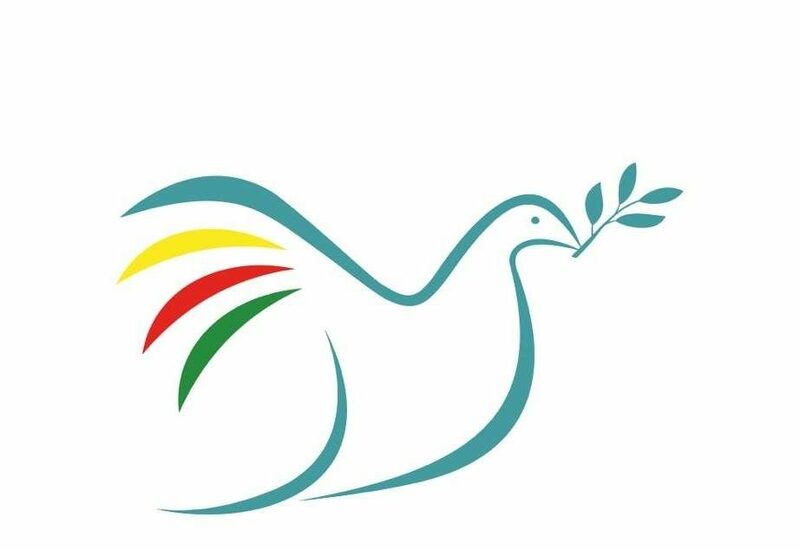 Syrian Kurds opened an office in the Netherlands on Thursday, to be the first representation office for the Rojava Administration in the Benelux countries, officials said. Speaking to ARA News, Sinem Mohammed, co-president of the People Council of Western Kurdistan [also known as Rojava], said that the office was inaugurated on 8 September. The United States wants to work both with the Kurdish and Turkish forces in war on terrorism in Syria, US Secretary of Defense Ash Carter said. Carter’s statement comes despite Turkey’s insistence that the Kurdish forces in Syria [YPG, SDF] are “terrorists”. The Syrian Kurdish leadership vows to defend their de facto state in north east Syria to the end, but is fearful of a growing understanding between the Syrian and Turkish governments in opposition to Kurdish separatism at a time when US support for the Kurds is faltering. Good news from Turkey: Lawyers Ramazan Demir and Ayse Acinikli were released on 7 September 2016, after five months in pre trial detention on suspicion of terrorist activities. There are, as always, many shady and cynical things happening in international affairs. But perhaps the worst, the most offensive to anyone who has a modicum of belief in progress and democracy, is the betrayal of the Kurds. Kurdish forces in Syria and Iraq have fought more valiantly than any other group on Earth against ISIS, and how is the West repaying them? How has the West, whose leaders breathlessly brand ISIS the new ‘fascists’, rewarded the Kurds for their years of tireless combat against ISIS? By giving a green light to a new war on the Kurds by Turkey, and by seeking to prevent the creation of a Kurdish homeland in Syria. The Kurds take to the frontline against the barbarians of ISIS, and the West stabs them in the back. Global politics doesn’t get much lower than this. “Information Clearing House” – What a mess! 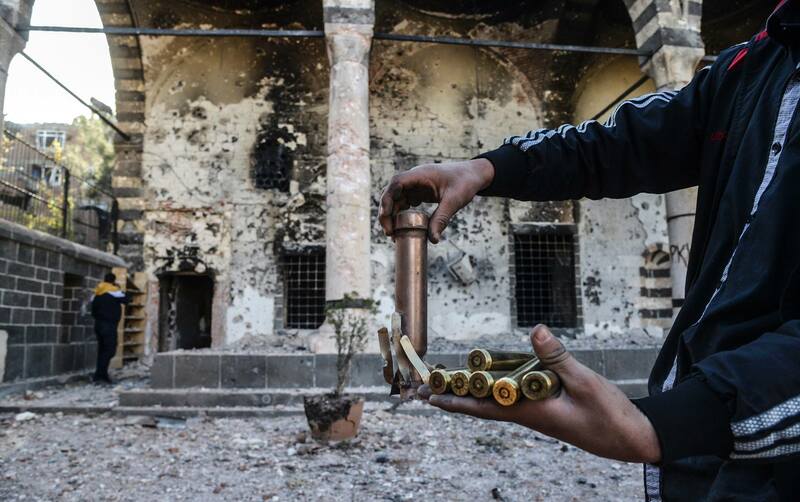 In the crazy Syrian war, US-backed and armed groups are fighting other US-backed rebel groups. How can this be? It is so because the Obama White House had stirred up the war in Syria but then lost control of the process. When the US has a strong president, he can usually keep the military and intelligence agencies on a tight leash. The Canary previously reported that ‘Free Syrian Army’ (FSA) jihadists spearheading Turkey’s invasion of Syria have strong links with al-Qaeda. And now, sources from northern Syria have produced fresh evidence of links between Turkey and Daesh (Isis/Isil) – evidence that probably explains how Turkey was able to ‘take‘ the border town of Jarablus from Daesh without a fight. More than a month has passed since the Turkish President Recep Tayyip Erdogan crushed an attempt by disgruntled army officers to remove him from power. The government has since arrested thousands of military personnel and police officers – accused of treason – whilst cracking down on opponents of Mr Erdogan’s rule. Emboldened by a surge in his popularity, the president has also moved in on Syria where Turkish backed rebels have cleared Islamic State fighters from Turkey’s Syrian border. Will Turkish troops stay in the area indefinitely, and what about US/Turkish relations given Washington’s support of the Syrian/Kurdish militias who Mr Erdogan claims are terrorists? There was exhaustive coverage by international media of the post-coup meeting between Vladimir Putin and Recep Tayyip Erdogan in St. Petersburg. Now the Kremlin host may pay a return visit. The media spotlight however did not fall on one other – perhaps, quite unexpected – Erdogan ally: Thorbjorn Jagland, the Council of Europe’s Secretary General. In August Mr Jagland met President Ergodan and other high-ranking Turkish officials in Ankara. Mr Jagland publicly expressed his support for the measures taken by Erdogan in the aftermath of the abortive coup attempt of 15 July. Most revealingly, Secretary General stated the following in remarks published on the official website of the Council of Europe: “There has been too little understanding in Europe about the challenges facing democracy and state institutions in Turkey after the outrageous coup attempt of 15 July”. and raise awareness for the Kurds throughout Europe. Mr Gifford criticised the Turkish incursion into Syria and attacking the Kurds as a “very naive political decision” by the anti-IS allies to the regrets of the US. He talked to NRT in London last week during a memorial held for two foreign fighters killed while fighting IS. FIVE YEARS AFTER the start of Syria’s uprising, the Turkish military directly entered the fray last week, sending troops to occupy the northern Syrian town of Jarablus, previously held by the militant group the Islamic State. Turkey’s intervention represents a significant escalation of the conflict, as well as a sign that the country is likely to take a more aggressive approach to foreign policy following July’s failed military coup and subsequent purge. Islamic State jihadists have given up their last positions along the Turkish-Syrian border, depriving the group of important transit points for recruits and supplies. But IS still holds sway over a large area in Iraq and Syria and in the past few days has claimed deadly bombings in Baghdad and in Syria’s regime stronghold of Tartus. And while air strikes have eliminated IS leaders like Omar al-Shishani and propaganda chief Mohamed al-Adnani, foreign jihadists they attracted now pose a threat to many countries. Turkey’s intervention in the Syrian conflict signals a new milestone in the five-year-old Syrian crisis, with its insertion as a new direct player certain to further complicate the dynamics of this already complicated conflict. Turkey’s Operation Euphrates Shield in northern Syria wasn’t a surprise with respect to the concept—the Turks have been advocating a safe zone for several years—but it was so in terms of timing, just six weeks after the failed coup attempt. The incursion also comes as Ankara revamps its foreign policy, including a rapprochement with Russia and a warming of ties with Iran. Q. In northern Syria, just south of the Turkish border in the Kurdish autonomous region of Rojava, attacks by the Turkish military are escalating. You’ve lived there for a year and have contacts there. What effect are the attacks having on the people? 50 Kurdish politicians began an indefinite hunger strike demanding that the state abide by international human rights and allow either his family or his lawyers of a party delegation to see Mr. Abdullah Öcalan with whom all communication has been cut for the last 515 days. Moreover, it is certain that during the 15 July failed coup attempt the coupists targeted him and there were clashes in the İmralı prison island. 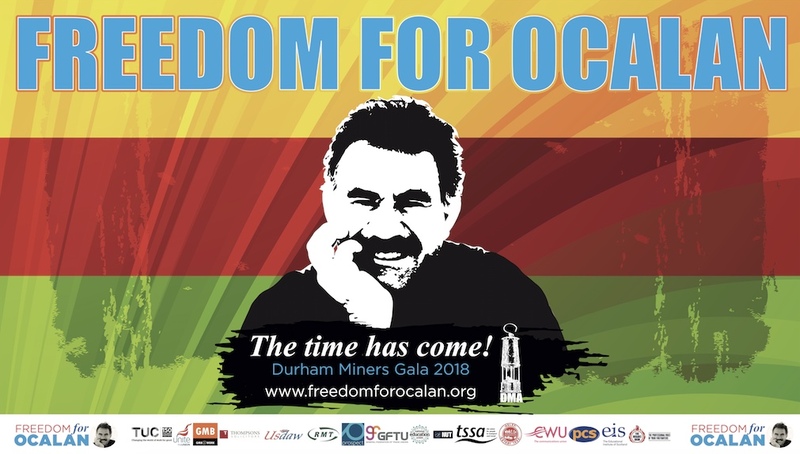 The whole world must know that there is profound anxiety over Mr. Öcalan’s health and security. Kurdish people and their institutions and representatives will not accept such inhuman and unlawful treatment of their leadership. The group on hunger strike at DBP headquarters in Diyarbakır, includes MPs, co-mayors, municipal assembly members, party executives, members of the women’s movement, lawyers, artists and members of many civil society associations began an indefinite hunger strike in Amed/Diyarbakır. Freedom of expression is in acute danger in Turkey. Since the coup attempt in July 2016, Turkish authorities have taken large-scale action against journalists and media outlets critical of the government. This development exacerbates the already tense situation for Turkish media. Journalists have had their passports revoked, authors have been detained, over 130 media companies have been closed. Among them are 29 publishing companies, which have also been expropriated. Today, a sense of alarm and fear for one’s own existence are widespread among journalists and publishers there. « “Hundreds of thousands of people are fleeing to Rojava” Article in Junge Welt, translated by Janet Biehl.